The Peoples Democratic Party says the release of the Dapchi schoolgirls was a plot by the All Progressives Congress to gain heroic appraisal from Nigerians. 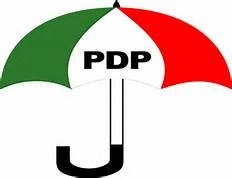 The Peoples Democratic Party (PDP) has described the release of the Dapchi schoolgirls abducted by Boko Haram insurgents in Yobe State as a scam by the President Muhammadu Buhari-led government. The girls were released on Wednesday morning with about five of them reportedly dead. In a statement on Twitter by its National Publicity Secretary, Kola Ologboniyan, the party said the release of the girls was a plot by the All Progressives Congress (APC) to gain heroic appraisal from Nigerians. He wrote “#Dapchi: A poorly crafted tragicomedy lacking intelligence and tact.